I used Cricut Art Philosophy to cut the banners. 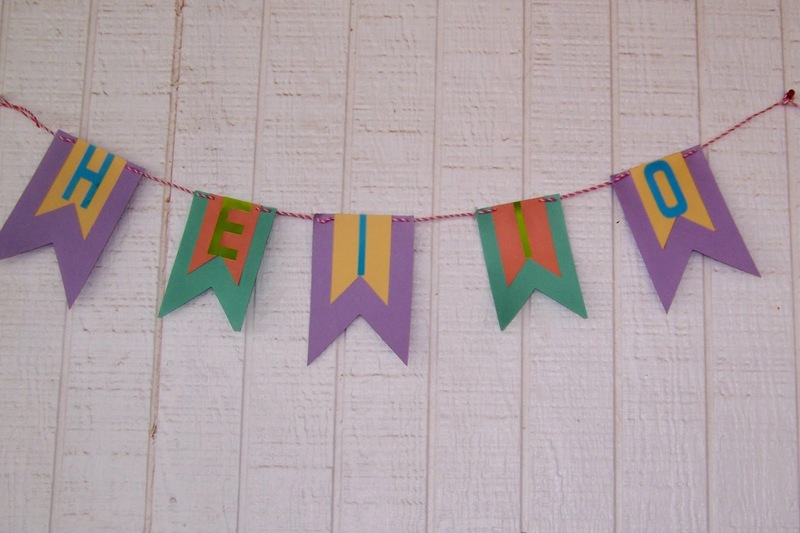 The purple banner is <banner2> at 7 inches, yellow at 4 inches, blue at 6 inches and orange at 4 inches. I put the banners together then punched holes to thread the Twinery twin thru each banner. Last added letters to say "Hello" . In my photos the finished banner is outside my front door. Such a sweet banner! 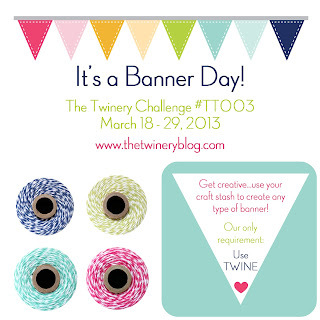 Thanks for playing with The Twinery!